Everybody's working for the weekend and what a weekend it was! Loverboy + the Ryman Auditorium... what can ya' say??? It was perfect! They were perfect and the venue, well lets just say I went to church. It was simply amazing! The show was kicked off with an energetic performance of Notorious and then they continued to dazzle the fans for the entire evening. Front man Mike Reno exudes star quality. He is charming, witty and exceptionally talented. Band mates Paul Dean, Matt Frenette, Doug Johnson and Ken "Spider" Sinneave have that “it” factor as well. You can’t quite put your finger on it but whatever it is, it works and it works well. It's funny how the fans age, the musicians age, but the music is timeless. Thr truth is no matter the age there wasn’t a single person in the Ryman Auditorium that wasn't singing along to the parade of non-stop hits. Notorious, Lucky Ones, Queen of the Broken Hearts, Take Me to the Top, (With "Riders On The Storm"), It's Your Life, Almost Paradise (with Catherine St Germain), The Kid Is Hot Tonite, When It's Over, Hot Girls in Love, (Drummer/Bassist Intros and solos), Turn Me Loose, Working for the Weekend with a rousing encore ... a definite fan favorite, Lovin' Every Minute of It. Mike Reno carried the crowd with ease. His energy was contagious, his vocal range was impressive and the band was spot on. These guys just know how to do it! They are consistently amazing! It was a very special evening and I loved every minute of it! (no pun intended). 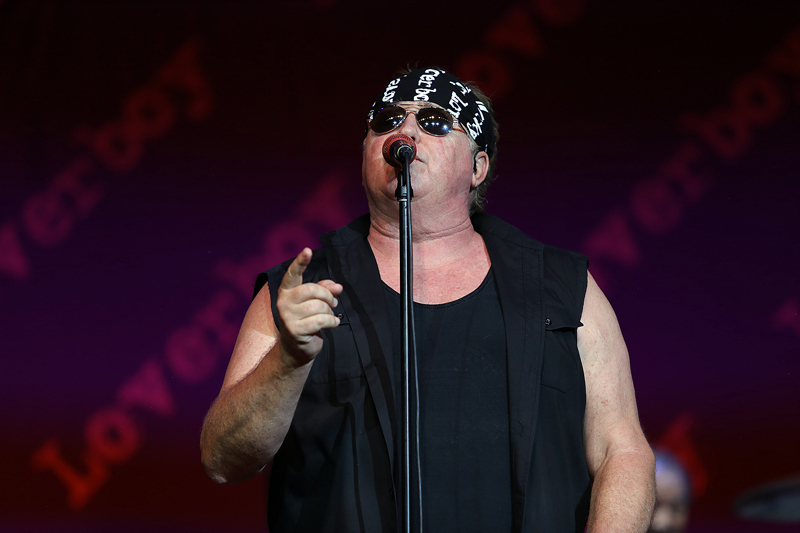 Seeing Loverboy in concert is always a new and exciting experience each and every time! Would I recommend a Loverboy show....Hell Yeah! The only thing left to say is...OH WHAT A SHOW!